This is a tough one for me since there were moments I liked and moments that were just okay for me. When you look at the big picture and what the story was trying to convey I think it was enjoyable. The bare bones of the story were very thought out and had an intriguing concept that captivated me into wanting to read it in the first place. Upon closer inspection it felt flawed in ways that didn’t always work for me. The chapters go back and forth between the present time of Lane returning to her hometown and facing the reality of her Uncle Harry’s death and the family she left behind very suddenly six years previously, and moments of her childhood with her best friend Kale as we witness the good, the bad, and the ugly of their friendship and how feelings progressed causing heartbreak for all. Often I find so much of a story relying on flashbacks to be a bit cumbersome but not in this case. The flashbacks were very successful in aiding the story and I found myself liking both timeframes though I think I leaned slightly more to the past and witnessing Lane and Kale’s friendship from the beginning, especially the angsty teenage years, and once I got past the very young ages that didn’t hold a child-like voice quite as realistically as I hoped. What worked against the story for me was how some things flowed. I didn’t buy some of the actions (and overreactions) by the characters at times and some of the dialogue felt over the top and unbelievable. I didn’t find myself connecting to any of the characters like I wanted due to this and it affected my reading experience negatively, unfortunately. 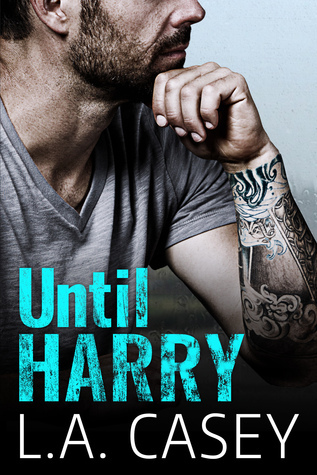 Until Harry is so named to express how important the role of her uncle played in Lane finding the strength to face her past and all the hurt. I’ll admit I didn’t really get the title for much of the book since the focus fell heavily of Lane and Kale but by the end it came together. I think many will enjoy this one more than I did. It had so much potential, just felt a little too flawed for it to be well-rounded in my eyes. Sorry to hear this didn’t work out for you, Sara. The title seems a little strange being that the story focused on Kale and Lane. I’d have a hard time getting past the name Kale, as in what I find in the produce aisle. Kale, like in the produce aisle. lol I did think of that too.